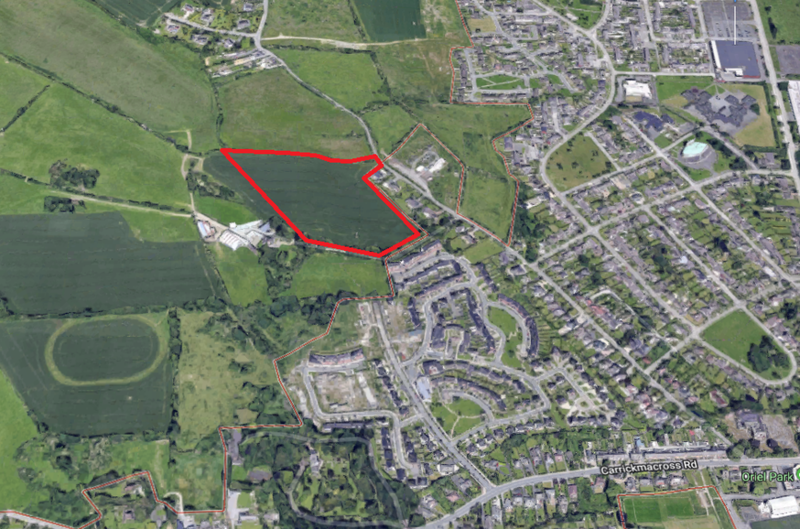 The property is located on the western side of Mount Avenue approximately 2km southwest of Dundalk town centre. Mount Avenue runs between the R178 Carrickmacross Road to the south and N53 Castletown Road to the north. Dundalk has a population of (34,496 persons 2016 Census of Population). There are excellent retail servics available in the town centre off Market Square and in the Marshes Shopping Centre. There are a large number of employers in the town that include National Pen, Pay Pal and Xerox. There are over 5,000 students at Dundalk IT offering many well recognised course for Irish and International students. Dundalk is located on the M1/N1 National Primary Route equidistant between Dublin and Belfast. It is also served by an excellent inter-city rail network. Dundalk is very advantageously positioned in relation to international airports with Dublin Airport being 40 minutes to the south via the M1. The site is located opposite an ESB sub-station and is close to the established residential estates of Lis na Dara and Ard Easmuinn. The immediate surrouding area comprises one off private residential residences. Dundalk railway station is located approx 1km to the south east. The property comprises an irregular shaped site of approx. 3.86 ha (9.54 acres) currently in agricultural use and undulating. It has access on to Moutn Avenue via one agricultural entrace. 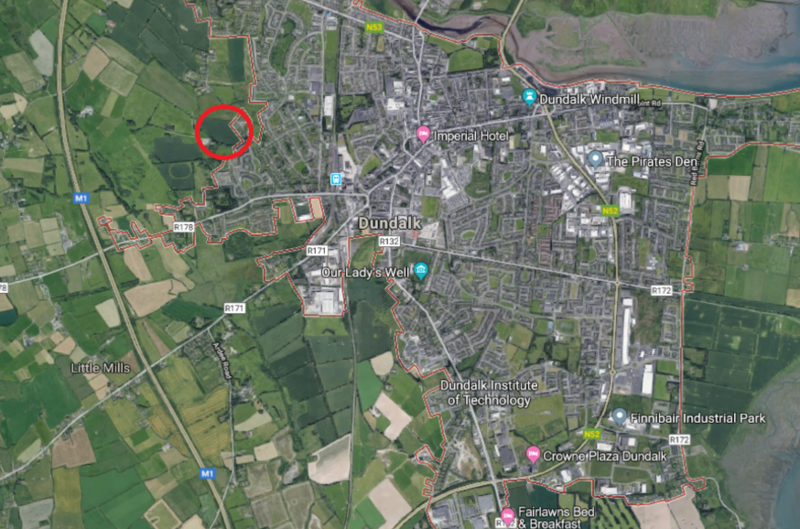 The site is zoned Residential 1 under the Dundalk & Environs Development Plan 2009 – 2015 'to protect and improve existing residential amenities and to provide for infill and new residential developments'.